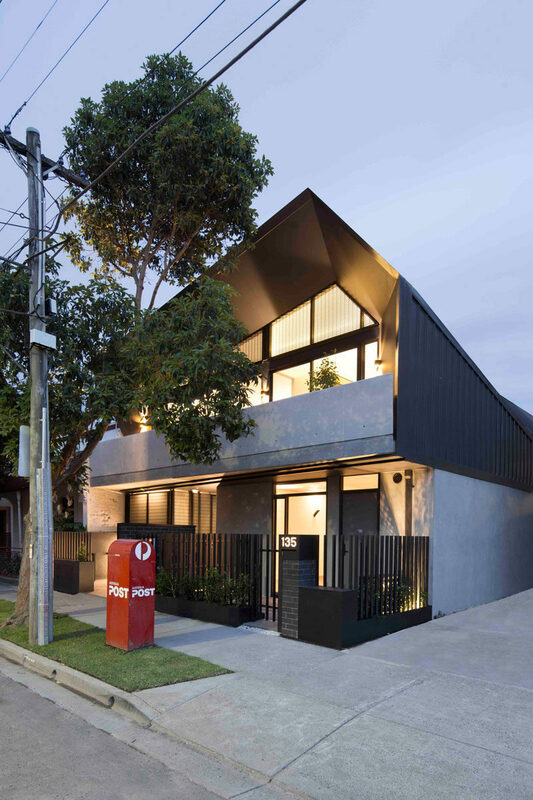 Architecture firm MUSK Studio have recently completed the Coppin Street Apartments in Melbourne, Australia, that’s home to six modern apartments. At the front of the apartment building there are two entrances, the first on the right hand side is for apartment 1, while the other entrance on the left, provides access to all of the other apartments. Inside the apartments, the interiors have been kept bright and airy with the use of white walls and light wood cabinetry. Some of the apartments are larger than others, and this one includes a study built into the wall. 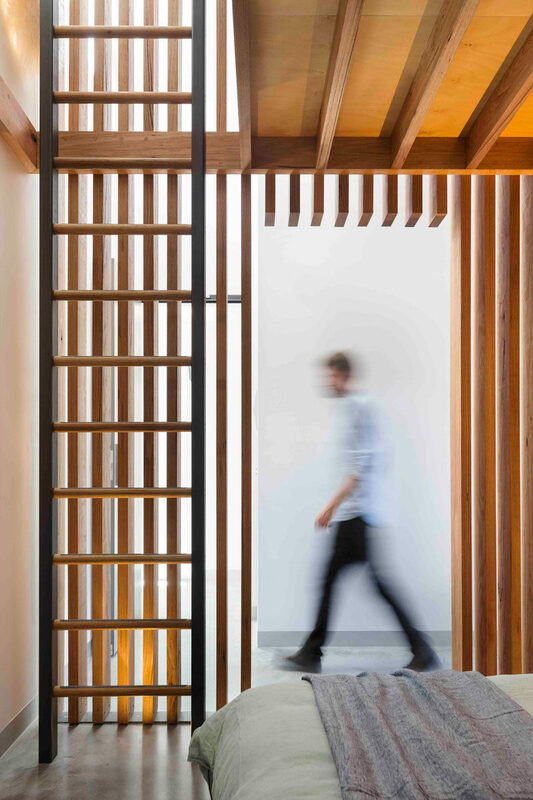 Here’s a look at another apartment, this one has bright yellow doors that slide open to reveal the bedroom, and the living room opens up to a private courtyard. 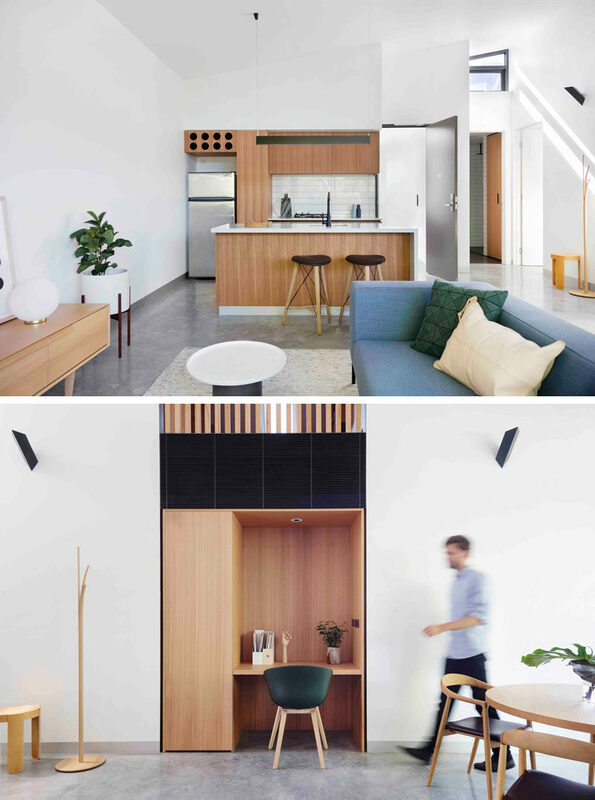 In this apartment, another sliding yellow door makes an appearance and when opened it reveals the bedroom, and the kitchen features a small wine rack above the fridge. This apartment is slightly different in that there’s a loft area above the kitchen. That loft area is reached via a ladder in one of the bedrooms, with the loft partially hidden by wood slats. 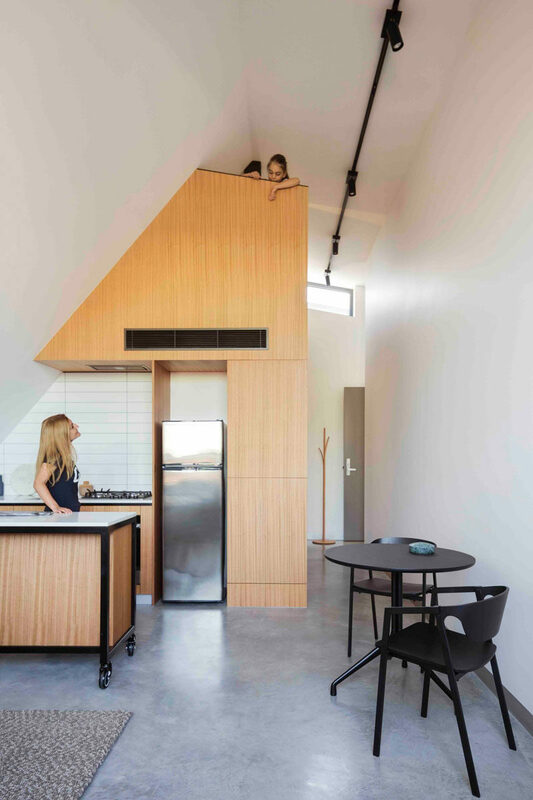 In another apartment, there’s another loft, that’s also reached via a ladder from the bedroom. 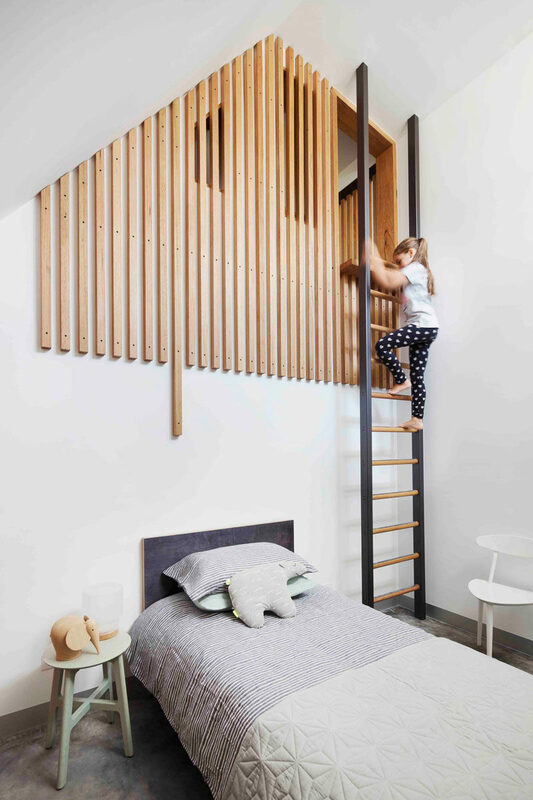 This time, the wood slats become the wall of the bedroom. 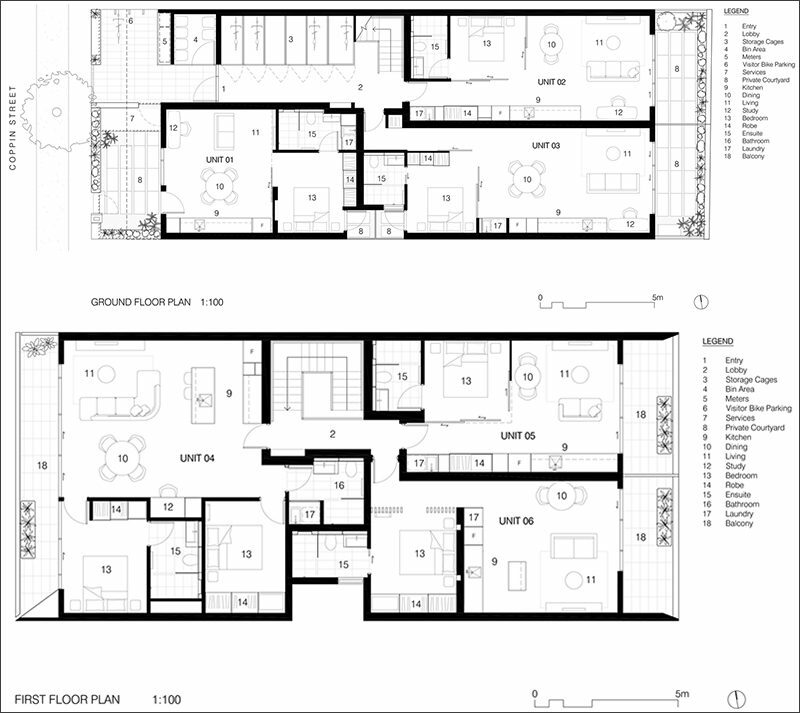 To truly understand the layout of the building and its apartments, here’s the floor plan.